This lipstick claims to be a weightless moisture matte formula which will give a soft focus colour on the lips. Its groundbreaking formula contains moisture-coated powder pigments that condition and hydrate lips. The result is the zero-shine look of a matte lipstick with the cushiony, lightweight feel of a balm. It also claims to be a comfortable formula which blurs lines and smoothens lips. There are 16 shades available here in Singapore. I purchased the shade “Burning Love“. Each lipstick is priced at S$ 33 and we get 3g/0.1 Oz. of product. 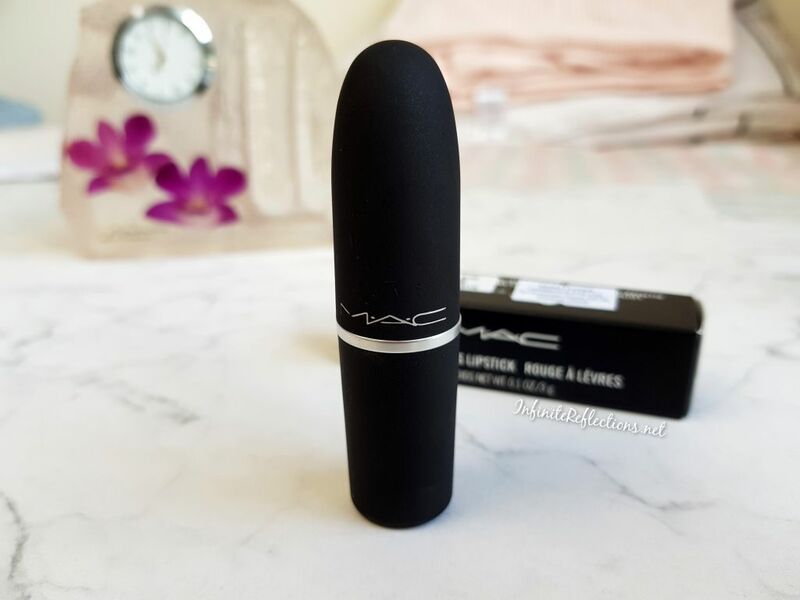 Its a standard bullet lipstick from MAC in their traditional lipstick packaging but the body of the lipstick has a soft touch and matte feel to it. So, there is a slight difference in the packaging. I really love the shade which I purchased. 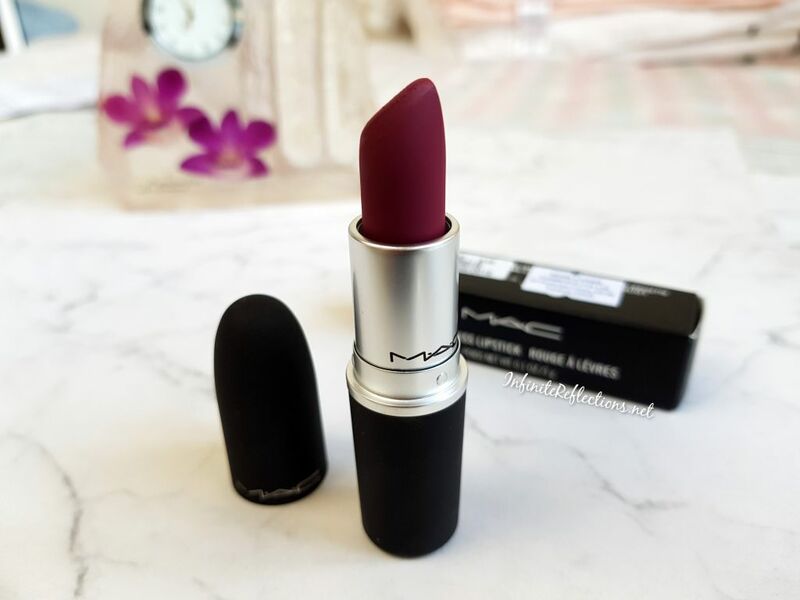 Its a deeper berry shade, which is one my favourite kind of shades to wear. I think the lipstick stands quite true to its claims. 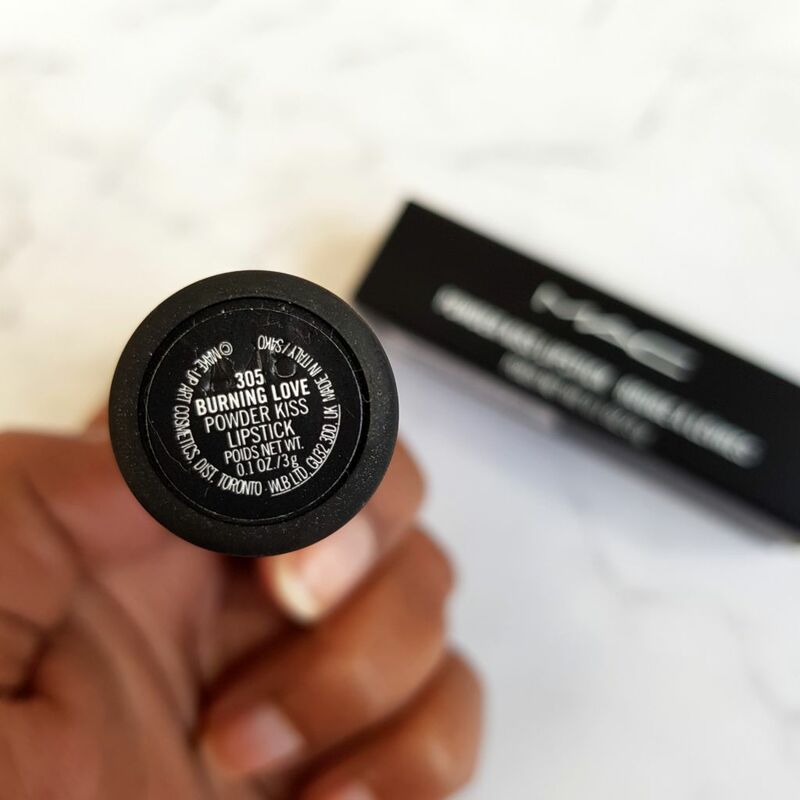 Its a very lightweight formula and applies evenly on the lips very effortlessly. It hardly feels like wearing a matte lipstick. However, I thought it might feel more powdery while applying and would have a drier texture. But, that is not the case. 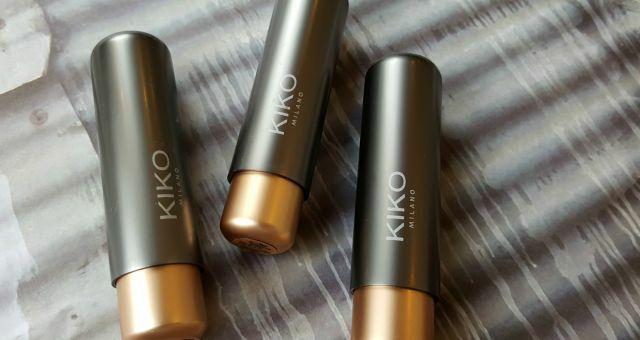 This lipstick feels like a hybrid of cream and powder while applying. It gives a very smooth appearance to the lips. 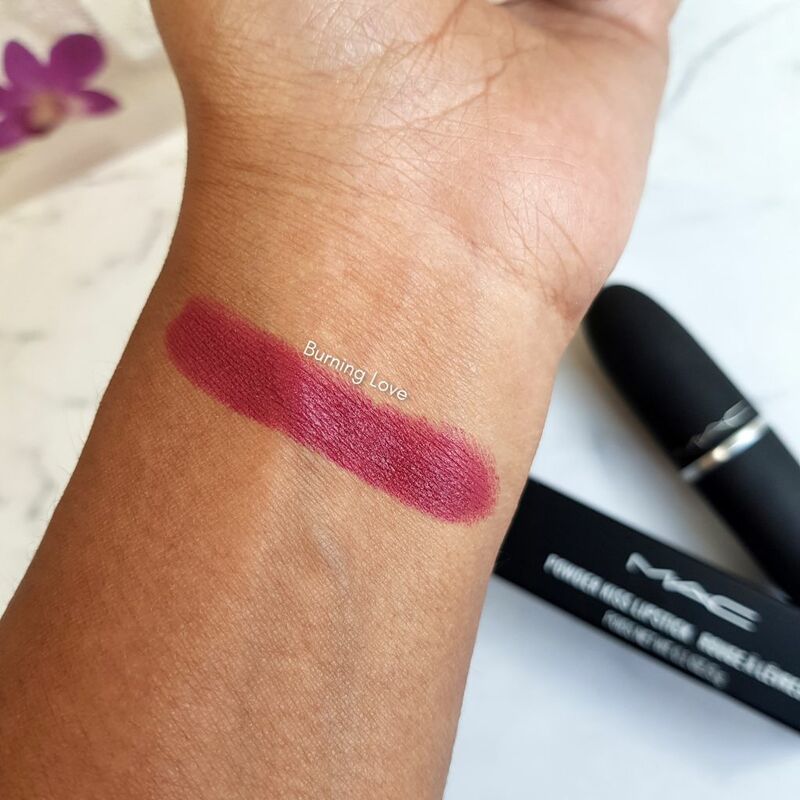 The lipstick is very nicely pigmented but the colour payoff is more when you layer the lipstick. You won’t get a full saturated application at one go. 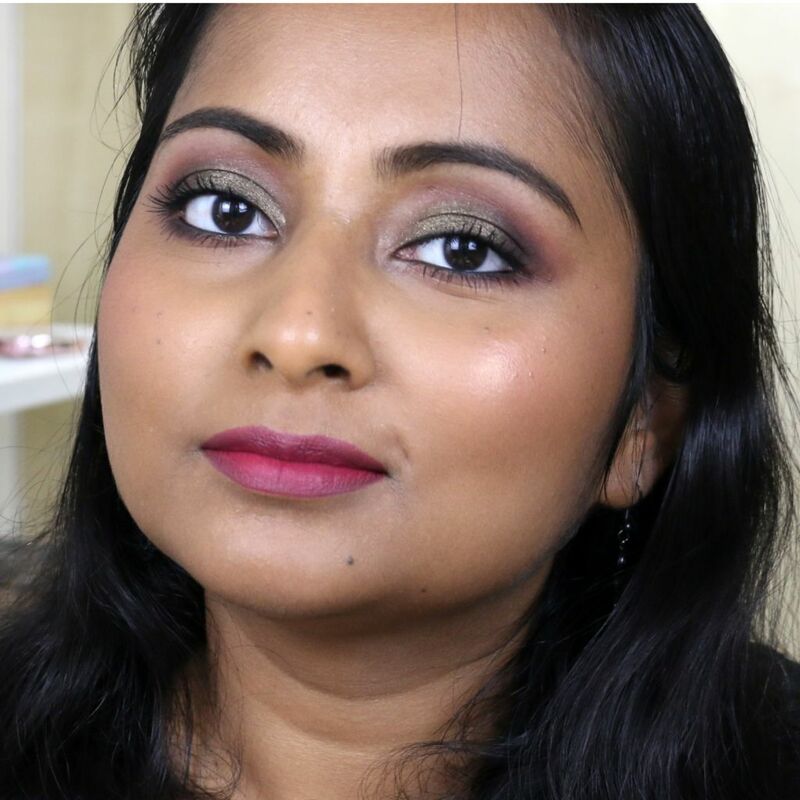 Its possible to apply one layer to get a sheer soft focus colour on the lips and also possible to get a more opaque application by layering the lipstick. It gives a creamy matte finish to the lips and makes them feel very hydrated. 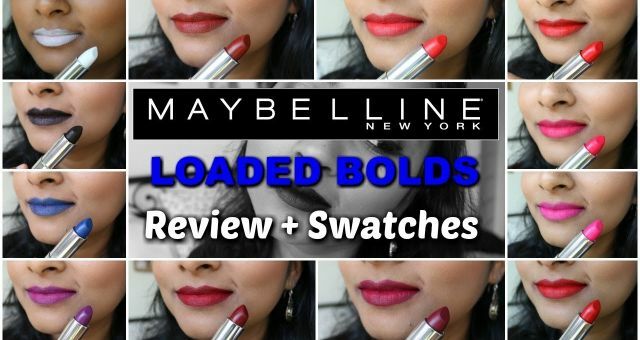 It surely is an extremely comfortable lipstick formula to wear. Do note that it doesn’t dry down to a matte finish and will transfer. 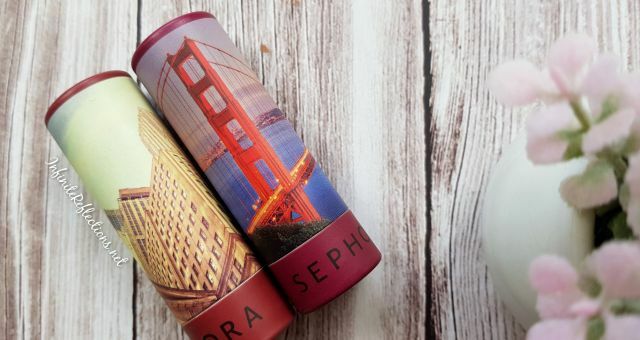 Even with light snacks or coffee, this lipstick will tend to fade away. So, it is not a very longwearing formula on the lips. On my lips, this lipstick stays well for 3-4 hours and then I have to touch up again. The whole idea behind this lipstick is soft focus colour on the lips, which can be achieved very easily with this lipstick. 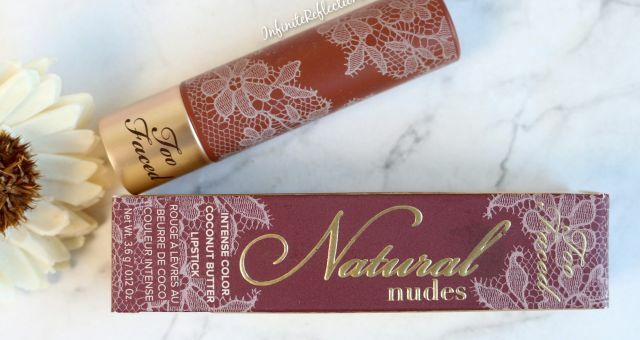 I think this will be a great everyday lipstick formula if you love matte lipsticks but want them to be lightweight, comfortable and hydrating. I, personally, haven’t tried a formula like this before. Most of the creamy matte lipstick formulas which I have tried so far do feel drying after a few hours and get a bit uncomfortable towards the end of the wear. But, I found the Powder Kiss lipstick to be non-drying and very hydrating. I will definitely recommend trying these if you are looking for very comfortable high-end matte lipsticks. Although, I think there aren’t many shades to choose from for my skin tone. I will definitely update you all if I end up buying more. That’s such a beautiful lipstick! The only Mac lipstick I own is Velvet Teddy but I’d love to pick up more.